It’s a rainy Saturday morning and my kids had friends sleep over. 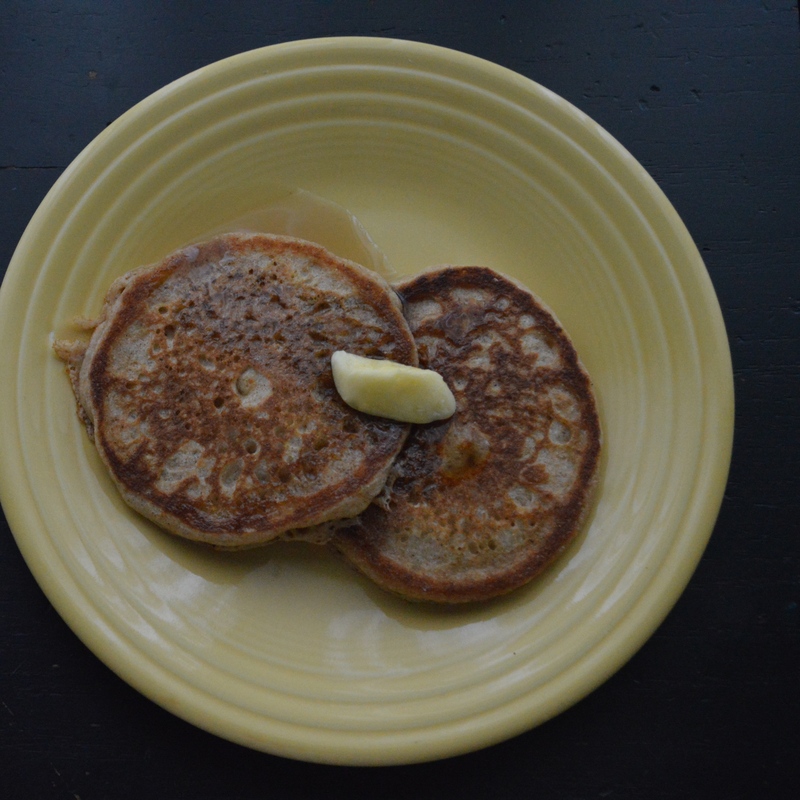 There’s nothing I like more on a morning like that than a fresh batch of pancakes. I normally make it twice as big as I need it so that during the week my kids can take them out of the freezer and pop them into the toaster oven for a quick, non-cereal breakfast. My hubby’s grandma makes the best pancakes. It’s a recipe you can remember in your head because there’s one of everything, so it’s super simple. 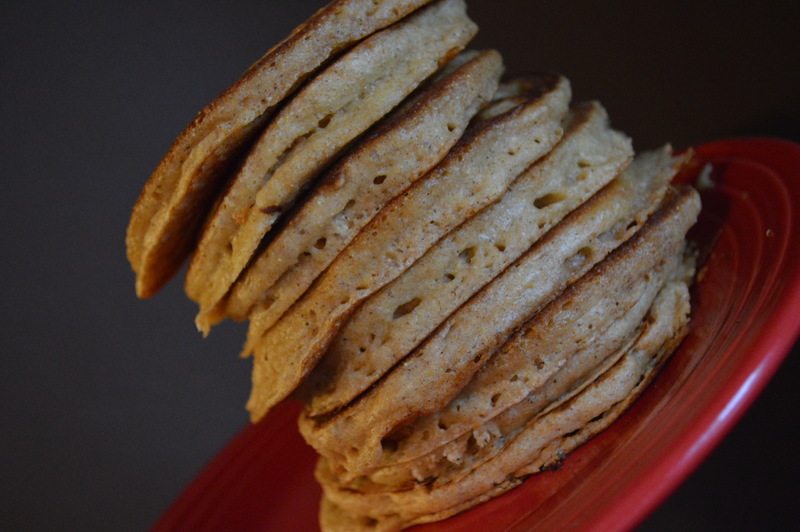 I make her recipe almost every time I need a quick pancake because, without having to pull out a recipe, it is as easy as pancakes from a box and way healthier. 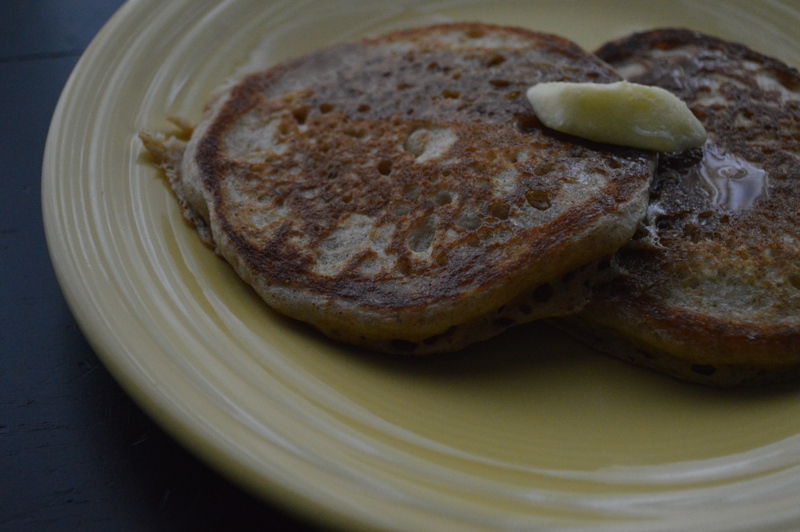 I always use white wheat flour because it’s less wheaty tasting than typical whole wheat flour. It sounded fishy when I first heard of it, but really it’s just a different variety than the usual red wheat. It’s still the whole grain and it’s lighter tasting. 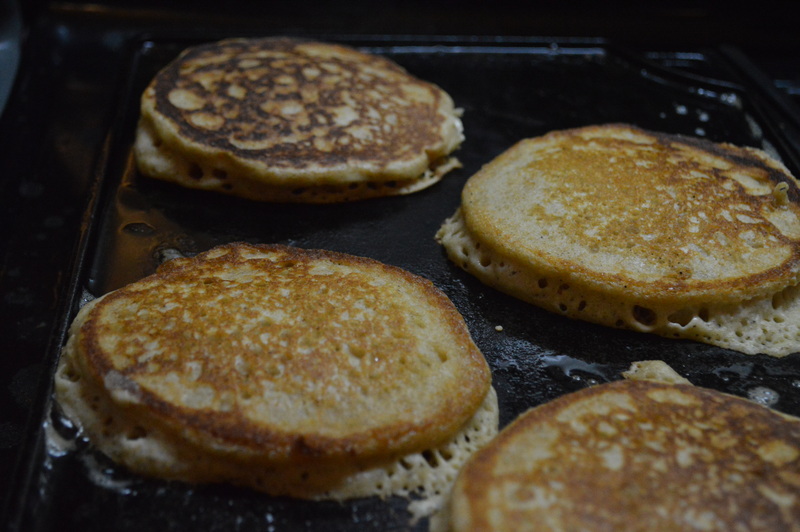 Also, I like these way better when I use actual buttermilk from the store. Often when I bake, I put a splash of vinegar or lemon juice in the bottom of the cup and pour the milk in to make the reaction with the baking soda that you’re looking for. However for these, in order to get them really fluffy and delicious, it has to be actual store buttermilk. It makes them super light and fluffy and tastes like white flour!